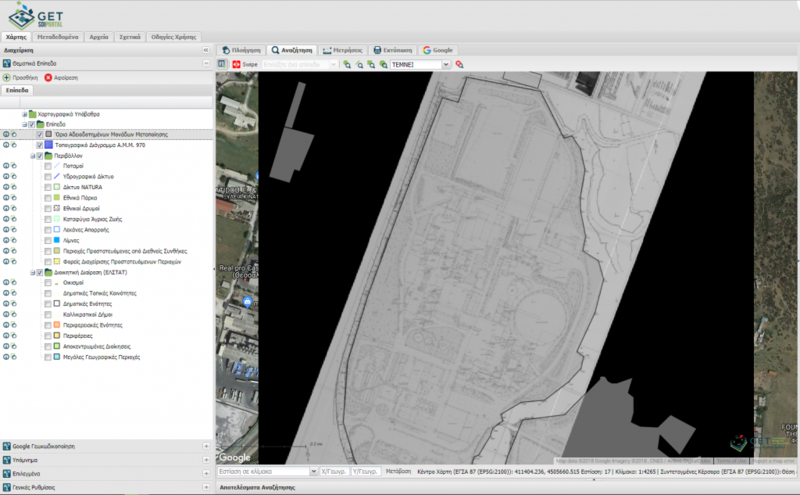 GET, in cooperation with the AKKT Engineering Consultants, completed successfully the project about the design and development of the Geographic Information System for the manufacturing activity in the region of Central Macedonia, under the contract of 12-10-2017 (17SYMV002082735) for the “Metropolitan Unity of Thessaloniki”. Part of the work packages for Phase C of this project concerned the development of the GIS and the License Management System Application of the region of Central Macedonia (GET – Implementation Manager). 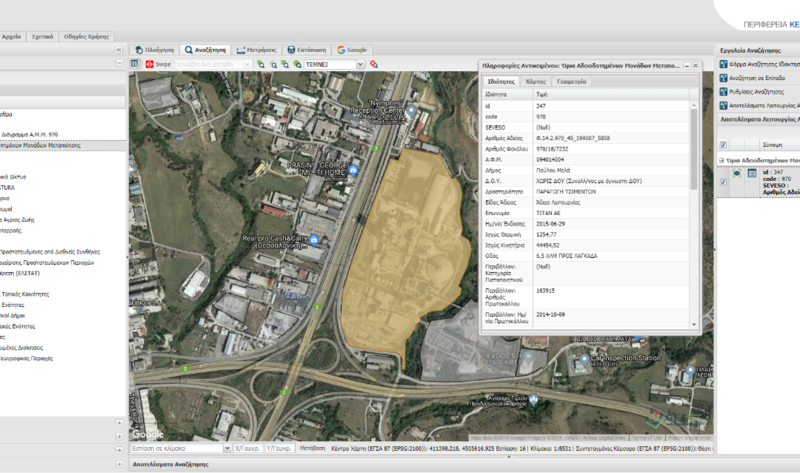 The application provides access to the geospatial data from the central database of the system and allows the visualization and the analysis of the data on map, as well as the search in the metadata catalog, based on the criteria specified by the INSPIRE Directive. The following screenshots show the application’s functionality. 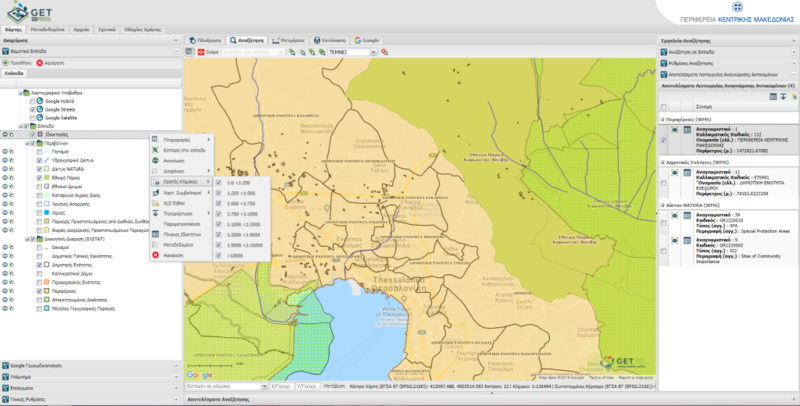 The web GIS will be soon available to the public. 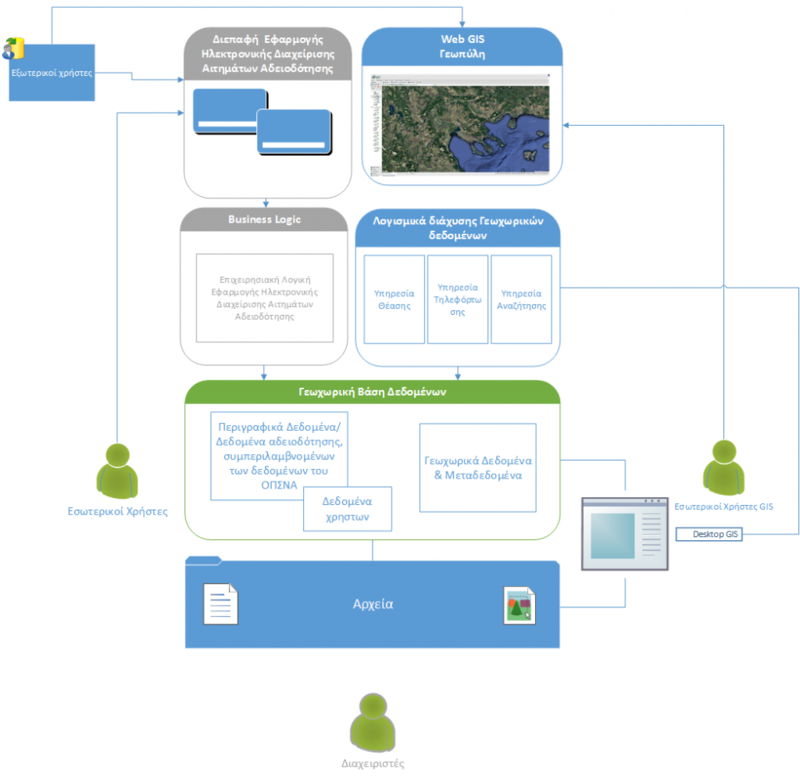 The purpose of this application was the creation of a modern web application for the management of license applications submitted to the Environment, Energy and Natural Resources Administration of the region of Central Macedonia. The use of the application will facilitate the internal processes of the service and it will provide advanced web services to the interested parties. The application allows the management of the entire life cycle of the licensing requests, from submission to approval. In addition, it provides the ability to produce specialized reports that will enhance the analysis process and it supports decision-making. This unit is addressed to the directors, that are responsible for assessing the requests and it provides a concise overview of the submissions. 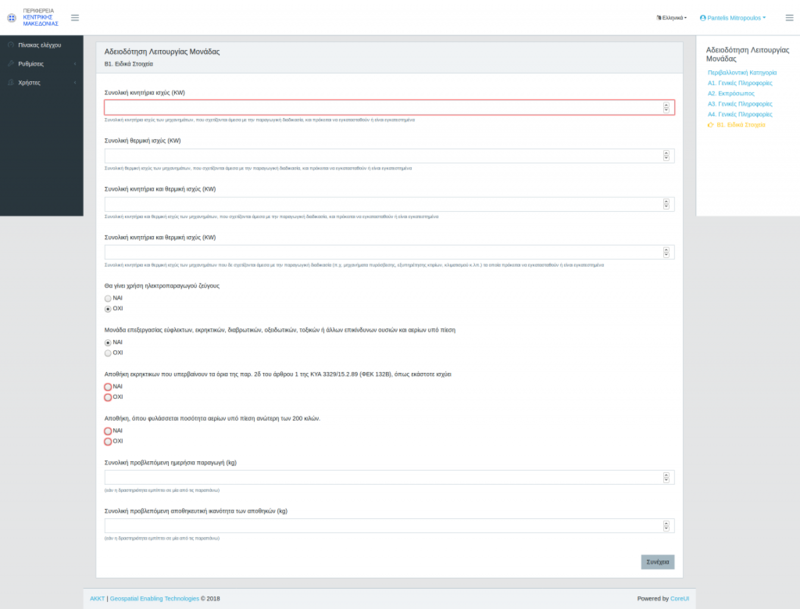 User credentials are required to access the License Management System application, which has already been available to the public authorities.